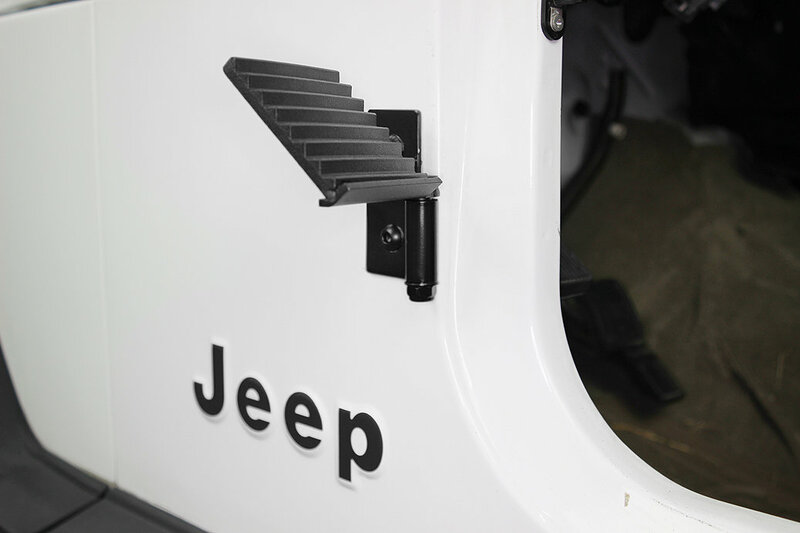 Everyone enjoys riding with their doors off of their CJ, Wrangler YJ or TJ but now you can experience even more of that open air feeling you have come to love with owning a Jeep. 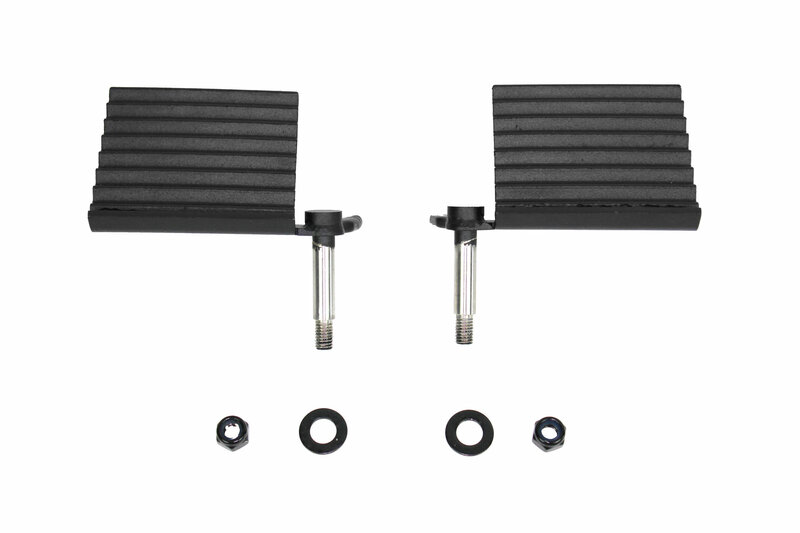 With these Foot Pegs from Fishbone Offroad you can simply install them into your door hinge peg giving you a comfortable place to rest your foot while driving doorless on the road or trails. Construction: Made of black powder coated steel to stand up to the weather plus whatever abuse your foot throws at it. Comes with rubber stops to prevent scratching your paint job. 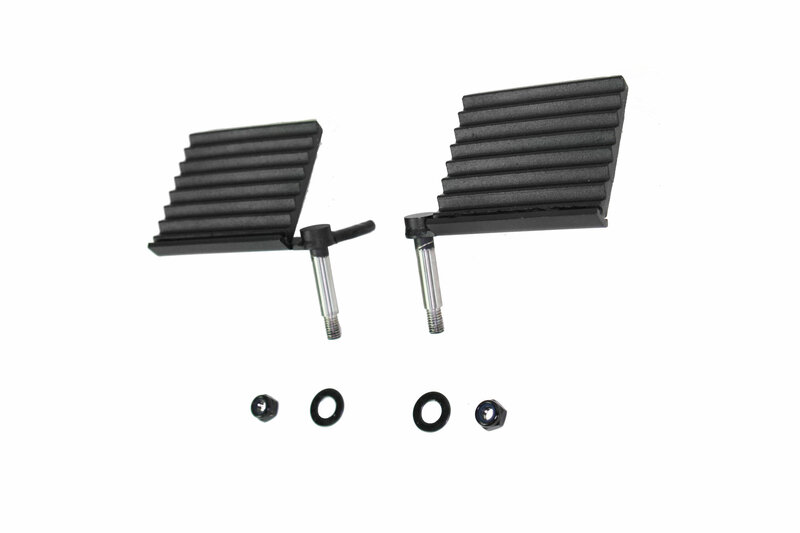 Easy Installation: After you take your doors off these pegs install in a matter of minutes. Simply just insert them into your door hinges & use the supplied hardware to tighten leaving you with a foot rest while you are driving.